In Real Life also known as IRL is a boy band from the American reality television music competition series Boy Band, which premiered June 22, 2017, on ABC. 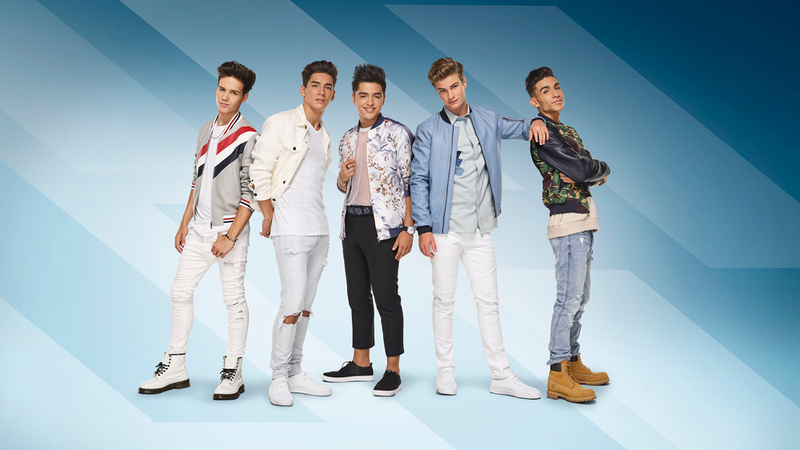 The band is composed of the final five vocalists from the show namely, Brady Tutton, Chance Perez, Drew Ramos, Sergio Calderon, and Michael Conor. The band, who won the ABC summer reality competition, debuted their first single, "Eyes Closed" on the show's finale. It went on to debut at the top of the iTunes charts, and reached #3 on Spotify's Global Viral Chart. "Eyes Closed" was performed for the first time on the finale of Boy Band after they were voted together by America, a first in US television history. 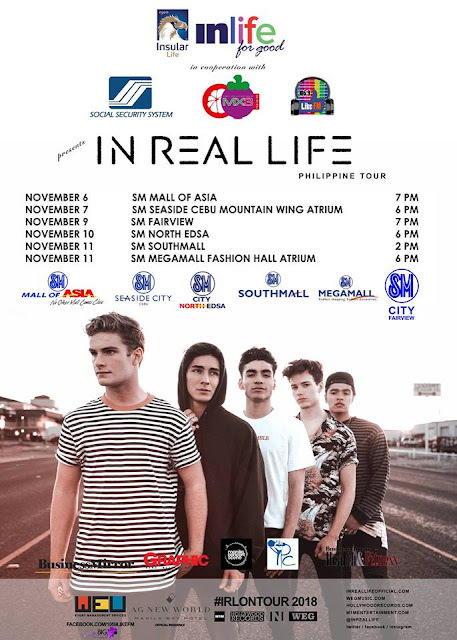 In Real Life is a pop boy band that experiments with other sounds such as pop-rap, dance-pop, teen pop, and Latin pop. They cite One Direction as their main influence and are compared to them for both starting off on reality television. The BackStreet Boys, Boyz II Men, Jackson 5, Charlie Puth, Bruno Mars, Shawn Mendes, Ed Sheeran, Justin Timberlake, Sam Smith, Jay-Z, and Eminem have influenced individual members of the group. This November, the band will capture the heart of every Pinoy with their music such as “Tonight Belongs to You,” with 5.4 million views on Youtube in just 3 months and Tattoo with 2.3 million views as of the moment. They will be touring around the metro this November, for their first international tour to Manila dubbed as Tonight Belongs To You Tour Philippines! They are scheduled to do a series shows starting from November 3 thru November 12, 2018. Also, you may tune in to @m1mentertainment and 105.9 Like FM to hear their new songs. TBTY Tour Philippines is brought to you by WEU Event Management Services.